Mattel has reinvented its iconic ThingMaker at-home toy-making device, this time as a 3D printer that will cost just $300. 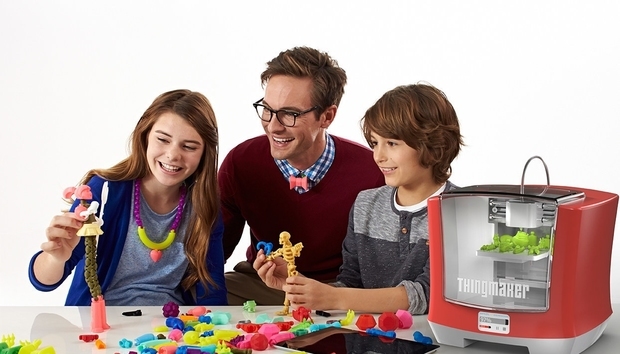 Mattel unveiled its 3D printer at the New York Toy Fair taking place this week. The original ThingMaker was limited by several dozen die-cast molds, into which a user would pour Mattel's Plastigoop thermoplastic or Gobble De-goop edible liquid, which was then cured using a 360-degree Fahrenheit hotplate. Plastigoop made Creepy Crawlers and other single-piece toys; Gobble De-goop made Incredible Edibles that could be eaten. The new ThingMaker 3D Printer is a fused filament fabrication machine that extrudes layer upon layer of melted thermopolymer to create an object. The thermopolymer filament comes in multiple colors on reels that attach to the 3D printer. Users upload design files via Mattel's proprietary Design App, which works on Android or iOS devices, and can print parts to be assembled into toys. 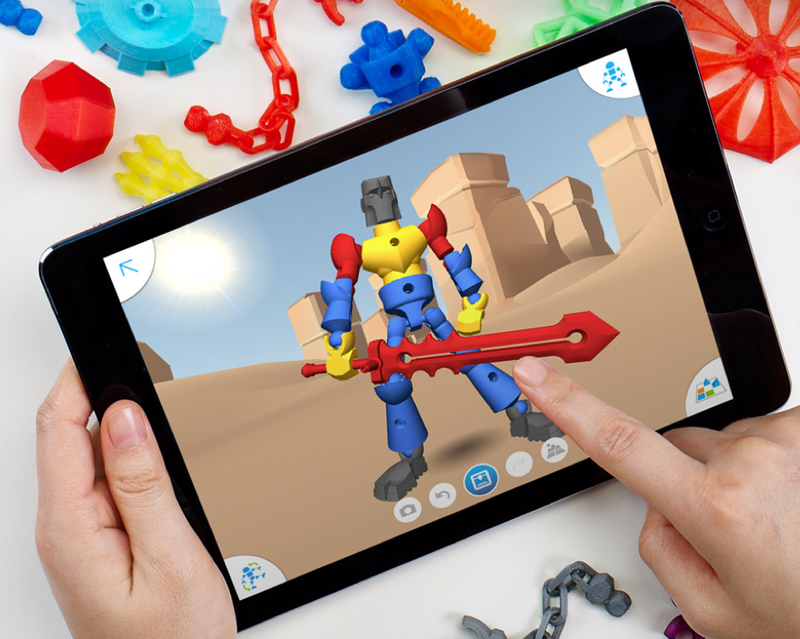 The ThingMaker Design App allows users to download files to iOS or Android devices and then upload them to the 3D printer to create toys. After downloading the ThingMaker Design App, which is based on software from Autodesk, families can browse through toy templates or build their own creations from hundreds of parts also offered in loadable files. Designs get uploaded from the files to the ThingMaker 3D Printer, which prints parts in batches for assembly via ball-and-socket joints. Terry Wohlers, founder and principal analyst at industry research firm Wohlers Associates, said he would have rather seen the ThingMaker with a $199 price tag, but he did herald it as a product that will let a kid produce almost any creature imaginable, "with limits, of course." "It should help to unlock the creative juices of our youth in a way that we have not seen in the past. Over a period of years, it could even help to reinvigorate careers in design and manufacturing here in the U.S.," Wohlers said. A long-time proponent of an inexpensive, safe, and "super easy-to-use 3D printer for children," Wohlers said while he's hopeful the ThingMaker will be disruptive, a lot needs to happen before it will be. 3D content creation will be key (i.e. the ability for children to be able to create their own objects) -- something Autodesk's involvement should help. Simple post processing, or the ability to easily remove support material from around a printed object, will also be important to a successful 3D printer for kids. "The start to finish process is almost never as easy as the machine maker leads you to believe, but maybe Mattel can be a pioneer in this area after 28 years of development in 3D printing," Wohler said. Mattel's ThingMaker Design App is based on Autodesk's Spark, an open 3D printing platform that provides extensible APIs for each stage of the 3D printing workflow. Because it's based on an open architecture, the ThingMaker Design App also works with other 3D printers; it is available now and free to download for iOS and Android devices. "In today's digital age, it's more important than ever for families to transcend the digital world and make their ideas real," Aslan Appleman, senior director at Mattel, said in a statement. "ThingMaker pushes the boundaries of imaginative play, giving families countless ways to customize their toys and let their creativity run wild. We're thrilled to work with the 3D design experts at Autodesk to bring this one-of-a-kind experience to life."